Earlier this month, Doximity released a new study that provides a national review of physician compensation information and job trends, as the strong trend of physician employment by hospital systems continues. Doximity, formed in 2011, is “the largest community of healthcare professionals in the country,” according to its website. More than 70% of physicians in the United States are verified Doximity members. 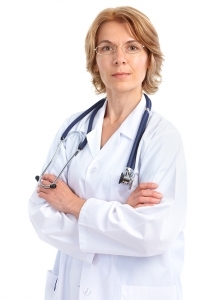 Doximity is a network of physicians and other healthcare practitioners. Doximity’s membership also includes many nurse practitioners, physician assistants and pharmacists. More about Doximity can be learned from its website, www.doximity.com. The study analyzes thousands of job advertisements posted in 20 of the nation’s largest cities and involving 15 common medical specialties. Compensation growth was calculated using self-reporting from compensation surveys of tens of thousands of full time U.S. physicians. Physician compensation grew 5.1 percent in 2017, according to the study. The April report was based on the responses of over 36,000 licensed doctors. Additional details and data can be reviewed in the report. If you have questions about this post, contact us at info@hamillittle.com, or by calling our business and health care law firm at our Atlanta office or Augusta office. ** Disclaimer: Thoughts shared here do not constitute legal advice. Please consult with an attorney to discuss your legal issue.